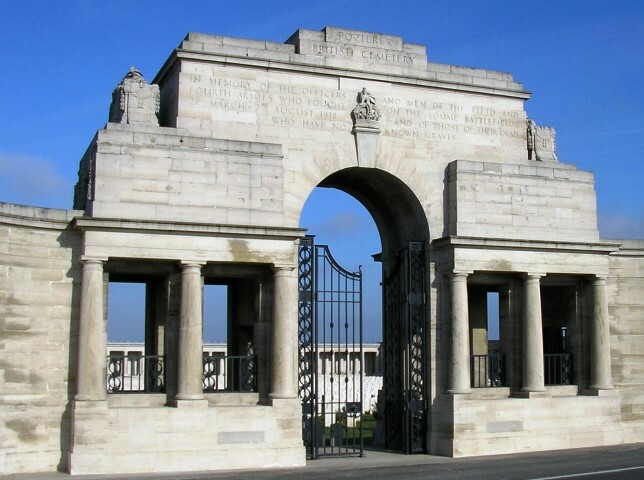 250523 Serjeant Thomas W. Simpson MM, 1/6th battalion, the Durham Light Infantry was killed in action 27 March 1918 and is commemorated on the Pozieres Memorial, France. He was 27 years old and is commemorated on the Evenwood War Memorial and the Roll of Honour, St. Paul’s Church, Evenwood. 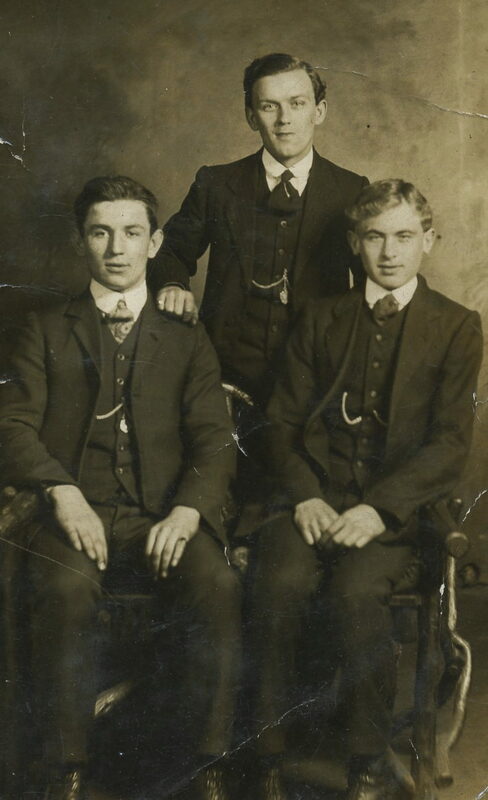 Thomas William Simpson born 1891 at Toft Hill was the oldest son of Mary Jane Simpson who had 2 children (TWS and John Lowther [Luther] Simpson bc1891) outside of marriage. Their father is unknown. In 1891, Mary Jane lived with her mother Elizabeth at Evenwood with her 2 sons Thomas and John. Thomas William Simpson enlisted at Bishop Auckland and joined the Durham Light Infantry, the 6th Battalion which was the local Territorial Force and given the regimental number 250523. He was promoted to Serjeant. Following the German Spring Offensive it was reduced to cadre strength in July 1918 and transferred to Lines of Communication. The following 3 battles are also known as the First Battles of the Somme, part of the German offensive in Picardy, France. The date when Serjeant T. W. Simpson enlisted, his military details and the War Diaries of the 1/6th Bn., DLI have not been researched. It is likely that he entered France with the battalion and the 50th Division April 1915. 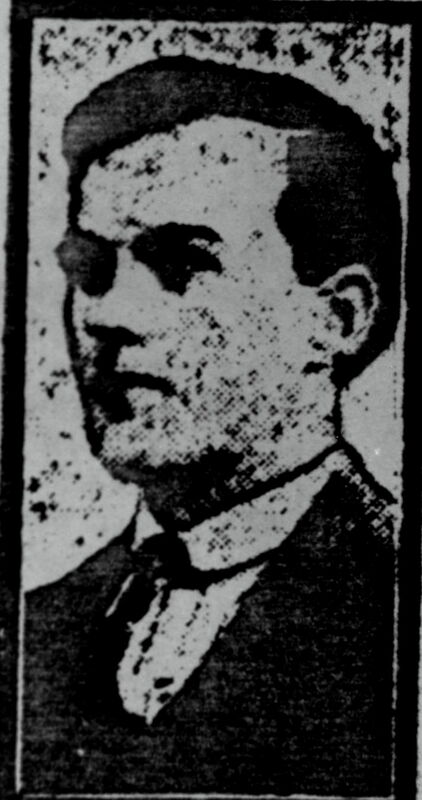 A photograph of Signaller T. W Simpson, 6/ DLI of Stones End appeared in a local newspaper in February 1916. 23 February 1918: London Gazette, as Lance Serjeant he was awarded the Military Medal and the citation appeared in the London Gazette. The details are unknown. The Military Medal was instituted in 1916 and awarded to non-commissioned ranks of the Army, RFC and RND for acts of bravery against the enemy. Some 115,600 MMs were awarded during the First World War with 5,796 bars, 180 second bars and 1 third bar. After 1913, the Military Medal was replaced with the Military Cross which was opened to all ranks. Often called “the Kaiserschlacht” the offensive was Germany’s last big effort to win the war before the arrival of huge numbers of American troops. The U.S.A declared war on Germany 6 April 1917 but it naturally took time to build up forces and train them for battle. The Russians signed for peace with the Treaty of Brest-Litovsk in December 1917 so the Germans transferred their battle hardened troops from the Eastern Front to the Western Front and prepared to attack the Allied forces. The German plan, Operation Michael was to punch through the British and French Armies at St. Quentin, cut through the Somme and then wheel north-west to cut the British lines of communication behind the Artois fronts to bottle up the BEF in the narrow neck of Flanders. The British Army would be surrounded with no means of escape and would inevitable surrender. The target of the first phase of the offensive was the British Army who the German High Command believed to be exhausted by the four major efforts of 1917, namely Arras, Messines, Passchendaele and Cambrai. By mid February 1918, there were 177 German Divisions in France and Flanders out of their world wide total of 241. Of these, 110 were in the front line of which 50 faced the short British front. A further 67 were in reserve with 31 facing the BEF. The British had 62 under strength divisions defending a recently extended front line. At the same time as the German forces were growing, the British Army was depleted having faced a manpower crisis during the second half of 1917. Lloyd George produced official figures to confirm that there were some 324,000 additional men on the Western Front (i.e. British and Dominion forces) giving a total of 1,850,967 on the 1st January 1918 as opposed to 1,526,182 on the 1st January 1917 but the effective fighting strength had fallen by as much as 7% in the year. The Third Army held firm near Arras but had to swing back its right hand forces to maintain contact with the retreating Fifth. However, “only” 2/3rds of the German casualties were wounded so a substantial number would return to the fighting at a later date. By contrast, 28,000 of the British would not return, 7,000 were dead and 21,000 had been taken prisoner. 27 March: the Germans were able to cross the Somme at Chipilly which compelled Gough’s Fifth Army to retreat to a line running from Bouzencourt to Rosieres. The British held the line throughout the day but to the south the French were driven out of Lassigny and Montdidier. 21 March: The German attack began. Entrained at Gouzeaucourt and detrained at Brie, marched in the direction of Tincourt, occupied partially dug trenches called “the Green Line.” These were behind the Brown Line trench system where the 66th Division had been overwhelmed in the morning. 23 March: 07.00am: orders received that the Fifth Army was to withdraw to the west of the Somme. 6/DLI was to cover the retirement of the 5/DLI – enemy snipers and machine guns giving considerable trouble. Y Company formed the rearguard to the Battalion. The route went through the village of Le Mesnil – light shrapnel barrage and fighting as the village was in enemy hands. Two officers were lost and about 20 men. The night was quiet. 24 March: Morning: orders received to withdraw to Foucaucourt. 8.00pm in position in reserve, in a line north east of Estres. 25 March: Morning: enemy advancing quickly. W and Z Companies filled gaps in the line. Enemy did not take advantage of the situation. 7.00pm withdrew to old trenches at Pressoire – quiet night with only a few casualties from shell fire. 26 March: 9.00am enemy renewed the attack, battalion passed through the ruins of Lihons and the withdrawal continued almost to Rosieres – heavily shelled. “During the fighting from 21st-31st March the Battalion suffered the following casualties. Killed: Officers 6 OR 35. Wounded: Officers 5 OR 189. Missing: Officers 2 OR 87. Wounded & Missing: Officers nil OR 3. 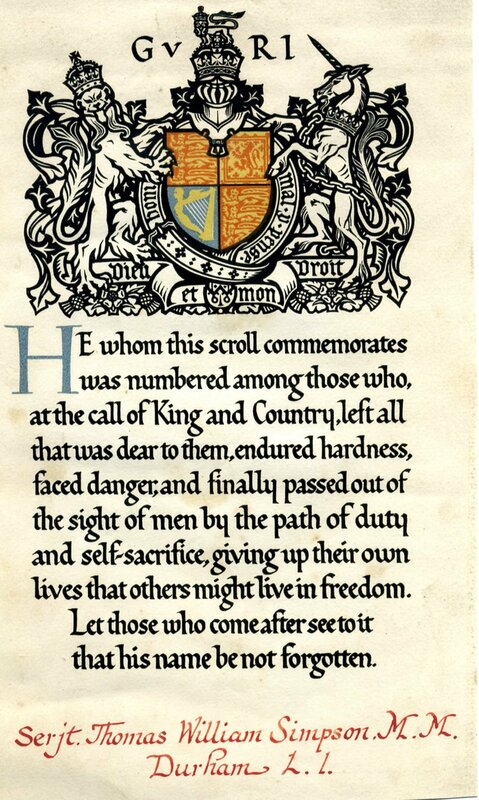 Later research records that between 21 and 31 March 1918, 1/6 DLI lost 4 Officers and 64 Other Ranks killed in action or died of wounds including 2 Officers and 6 Other Ranks 27 March 1918. At Caix, the remnants of the Battalion was re-organised and occupied the Caix line before withdrawing to Moreuil then to Saleux then eventually onto Rue and Vron. French troops were moving up the line to check the German advance. In early April, the Battalion was sent to Beuvry near Bethune about 4 miles behind one of the quietest area of the British front. Here a draft of about 400 men arrived and they were being prepared to relieve the 55th Division at La Bassee. However this did not happen and they were sent to Estaires instead. This was to be the location for the Second German Offensive. Early in June 1918, the remnants of the 50th Division was broken up. Serjeant T.W. 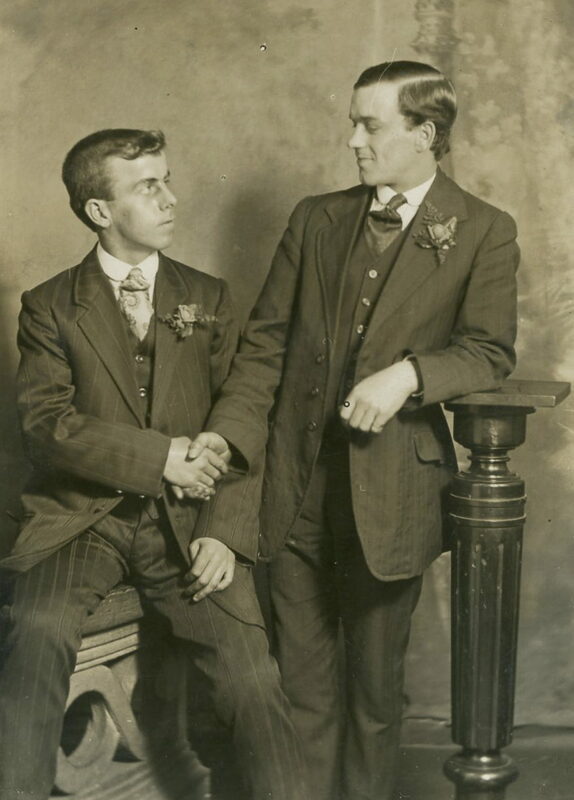 Simpson was awarded the Military Medal, the British War and Victory medals. The Royal Horse and Field Artillery with over 400 names. Serjeant T.W. 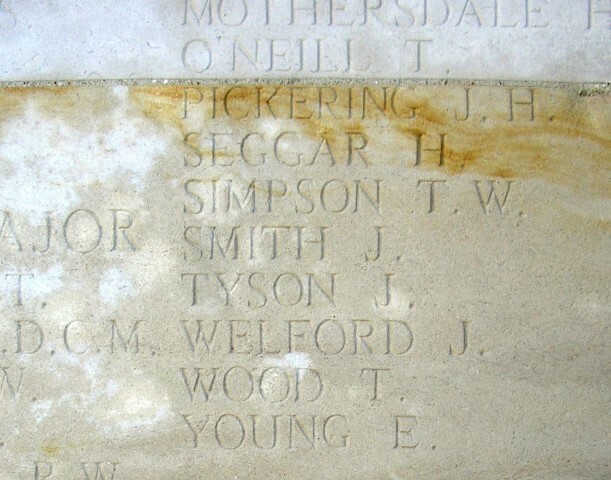 Simpson MM is commemorated on the Evenwood War Memorial and the Roll of Honour, St. Paul’s Church, Evenwood. Various sources including www.1914-1918.net/dli.htm & www.1914-1918.net/bat22.htm & www.1914-1918.net/manpower.htm & www.1914-1918.net/batt22A.htm & Brown “1918-Year of Victory” & www.bookrags.com/ebooks/7189/220.html – A Short History of the Great War eBook A.F.Pollard.